Paul Duncan, East Paulding OT/DT 6’6″ 288 lbs. 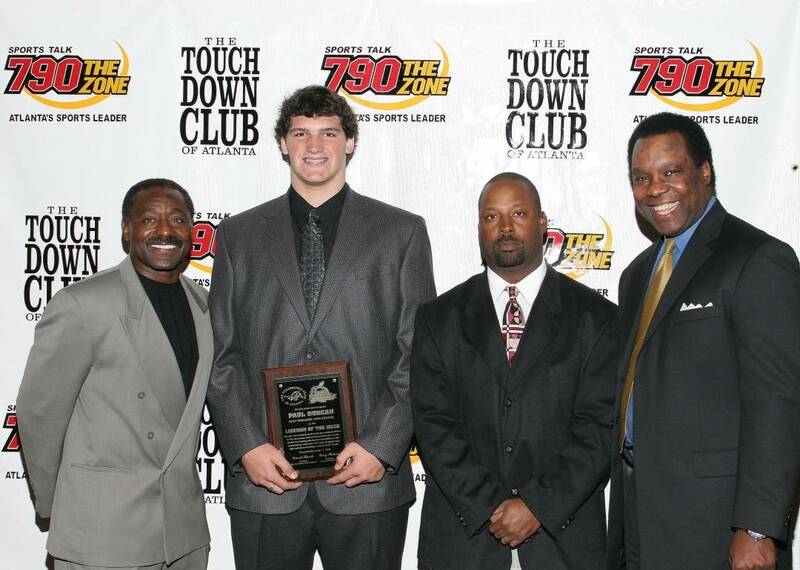 Earned lineman of the Week honors for his performance on the line against rival Paulding County in a 23-20 victory. The victory was East Paulding first over their rival in six years. Paul would earn 1st Team All-State honors by the AJC and would accept a scholarship to play for the Fighting Irish of Notre where he would earn 3 varsity letters.